Amman Temple of Montreal was started in 1992, at Hutchinson street opposite to Park Metro, in a factory building. 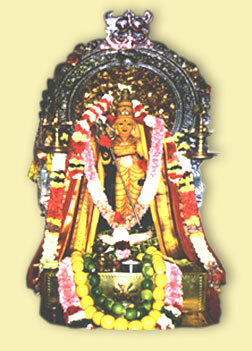 In 1995 the new temple was built on Jean-Talon street, and the kumbabishekam was held in September 1995. Since 1995, there was tremendous growth of the temple with the influx of Hindus from Sri Lanka, India, Bangladesh. In year 2000 November , the adjacent building 259 Jean-Talon W. was bought, which serves as a hall for various ceremonies. In year 2002 November, the Parking lot was asphalted and made as a convenient parking spaces for the devotees. With help of everybody, the temple shows so much improvement in everyway.